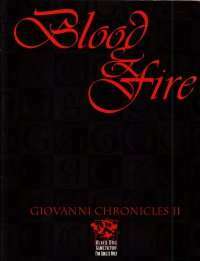 Continuing the saga begun in The Last Supper, Blood and Fire embroils the characters in a deadly struggle against the nascent Giovanni clan. Its members, foul necromancers all, seek nothing less than apotheosis. Only the characters have a chance to thwart the Giovanni's schemes and prevent the clan from ascending to ruleship over all existence.